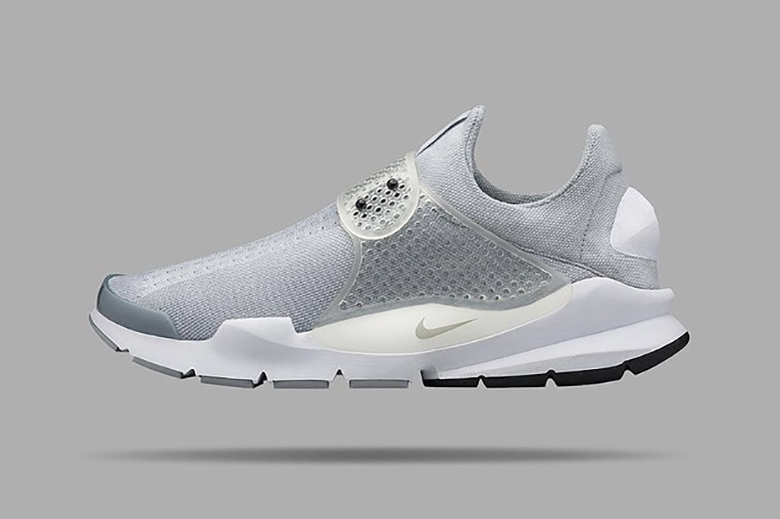 Unveiled earlier today, NikeLab is bringing back its Sock Dart silhouette that was born in 2004. The Sock Dart is the first shoe to feature computerized knitting technology, and this gray iteration features a one-color upper with silicone straps in place of laces for utmost comfort. With a miniature Swoosh adorning its sides and set atop a white midsole and black and gray outsole, there is no set release date yet, but will be coming soon to Nike Lab stockists and locations soon. I f*cking love this!! This silhouette is one of my favourites Hiroshi Fujiwara and his fragment design team has worked on. Having inspired silhouettes from the Nike HTM collection in the early 2000s already, the Nike Sock Dart returns this season in a refreshed fragment design look, after having been officially released in 2004. 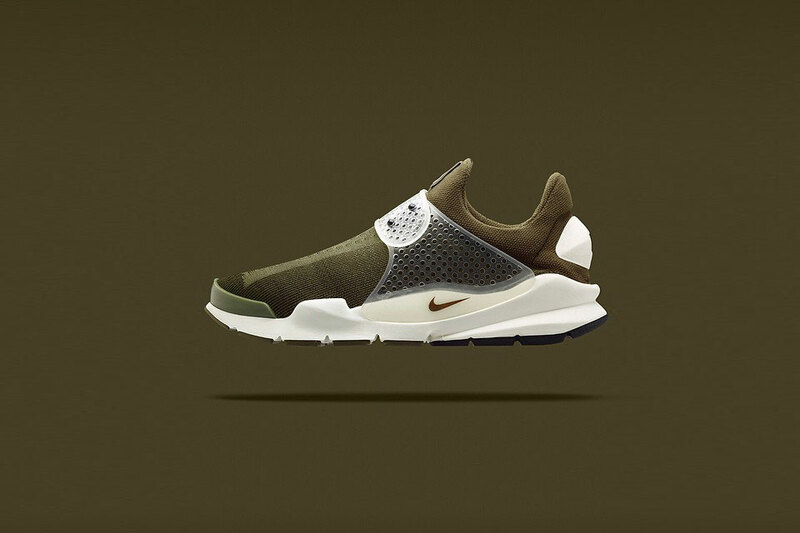 At the time way ahead, the Sock Dart was the first sneaker ever to be made with computerized knitting technology. The market now finally seems ready for it and we are excited to see it back in the collection. 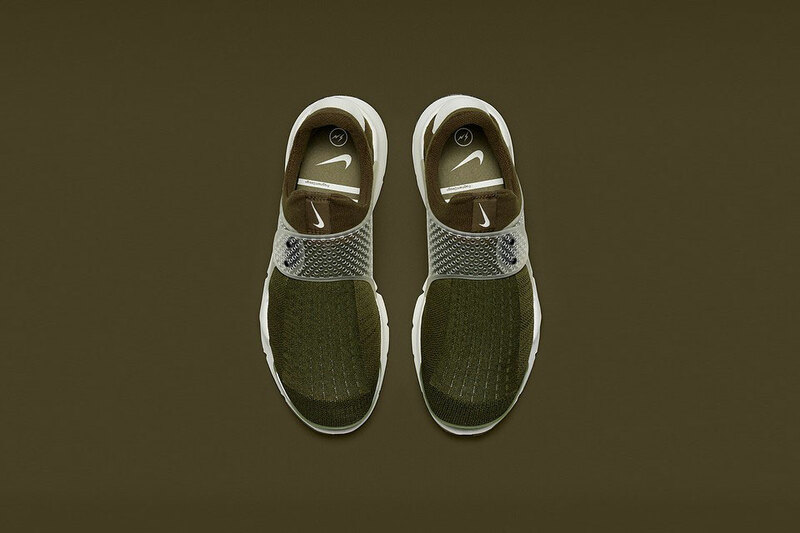 The sneaker features a dark olive woven upper and a transparent, silicone lockdown strap in lieu of laces. It looks like the fragment design x Nike Sock Dart will come as part of a pack of sneakers designed by fragment design, including also the Nike Roshe LD-1000 SP and the Air Jordan 1.